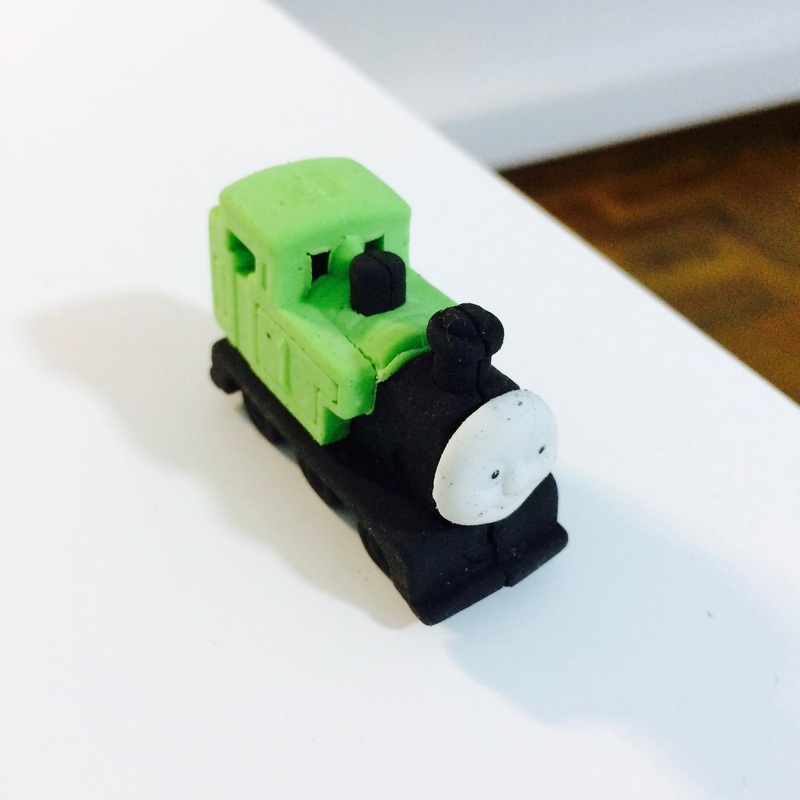 I had meant to blog about this train eraser which I got for Joram when I bought it but it must have slipped my mind. The three older kids were pretty difficult to handle at mealtimes outside of the home environment as toddlers because they had very short attention spans and required a lot of improvising and quick thinking to keep them sufficiently entertained so as not to disturb the other patrons with their cries. 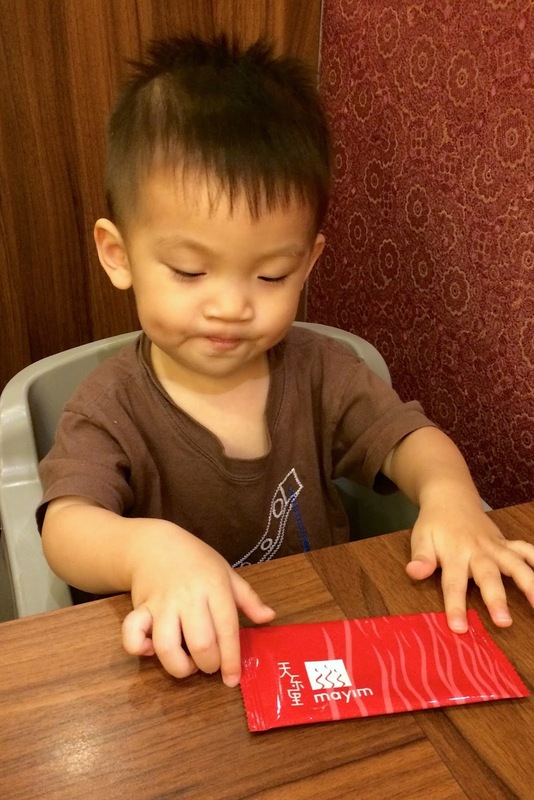 Since we do not EVER resort to using gadgets to shut them up, we have developed a whole arsenal of tricks up our sleeves: drawing, colouring, fiddling with the discount cards in my wallet, counting sugar sachets and playing quiet games such as "I spy". As the kids got older, reading became the norm. 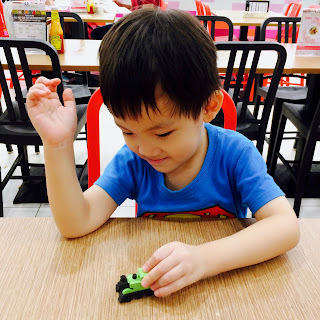 So imagine my surprise when one day, I suddenly realised that Joram has been automatically, very silently, taking one piece of cutlery, most likely a spoon, and moving it around like a vehicle while my attention is occupied by food-ordering. It is simply so easy to overlook him because he hardly makes any noise apart from soft humming sounds as he mimics the engine's vibrations. This was not a new trend. He had been able to keep himself occupied this way ever since he was one and a half years old, albeit for a much shorter period of time. It was also not as noticeable back then because we always had such a difficult time getting him to drink his water before his meal. With the water issue resolved and him being able to eat independently now, I finally have the presence of mind to be aware of how well Joram can self-entertain. However, I don't really think it is hygienic to let him play with an eating utensil with the possibility of him dropping it onto the floor. 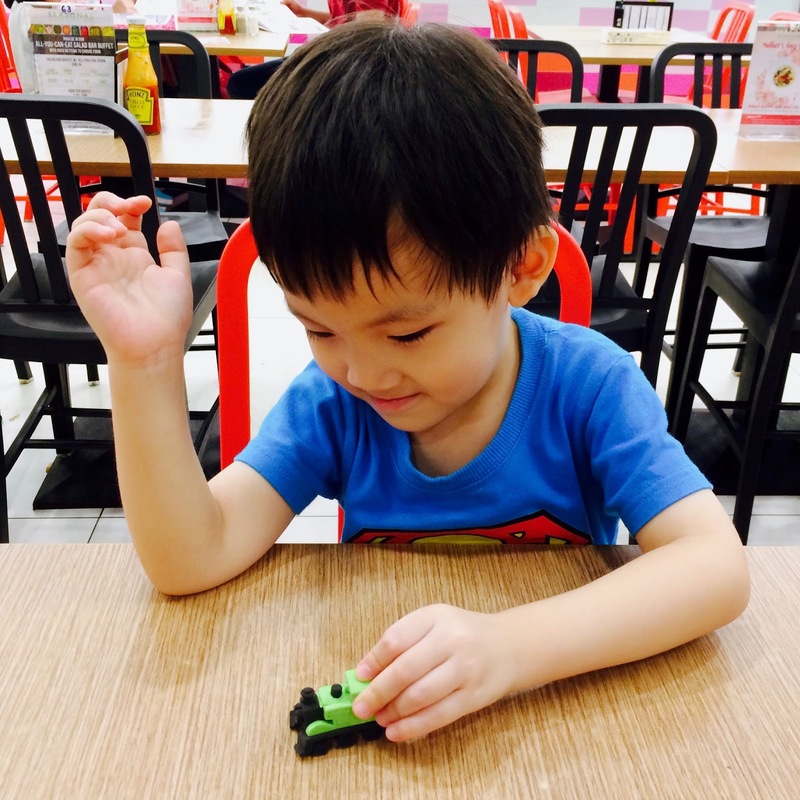 I thought of bringing one of his toy vehicles around with me but the squeaky wheels rolling on the hard surface of the table can be pretty loud and annoying. 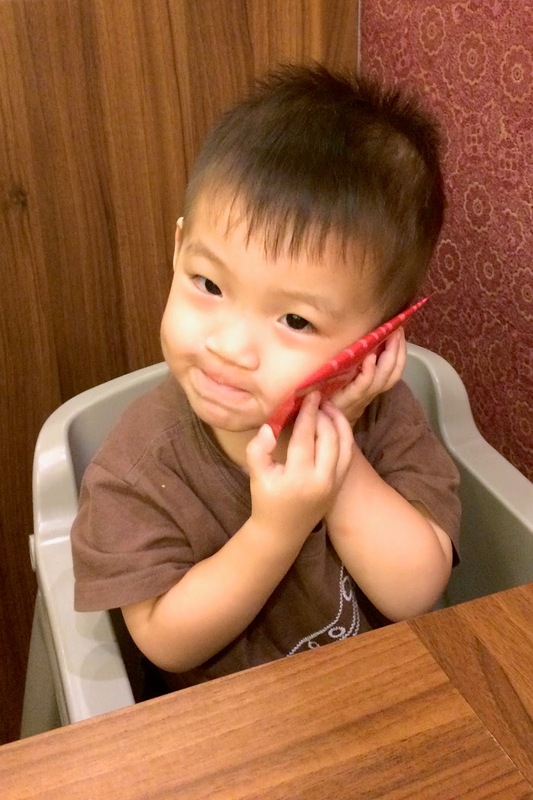 To solve this problem, I bought him a 60-cent train eraser in his favourite colour instead. The rubber material makes absolutely no noise at all. He was delighted with it! Thank God for the inspiration! It is now permanently in my purse so that I can have it handy whenever we have meals outside of home.